Martyn Brewster studied at Hertfordshire and Brighton Colleges of Art, graduating with an MA in 1975. He now lives and works in West London. He is one of Britain's most important, lyrical colour painters and printmakers. His chosen territory lies in the area between abstraction and representation. His authoritative, abstract oil paintings and dynamic prints are the persuasive outcome of a career as a professional painter that spans 20 years. Since 1986, his work has been shown regularly in London galleries. He has won numerous awards and has work in private, public and corporate collections worldwide. Public collections include the Victoria & Albert Museum, British Museum, Russell–Cotes Art Gallery and Museum, Arts Institute at Bournemouth and Bournemouth University. "My primary concern has always been with painting but I have always loved the related activities of drawing and printmaking. The drawings represent a more direct response to nature and all are done outside, in front of the motif. It is a challenge to deal with light and shade, space and atmosphere, and to find new compositions amongst such an endless multitude of forms. The prints are the opposite, and allow for a complete absorption in colour and abstraction free from any directly associated references. 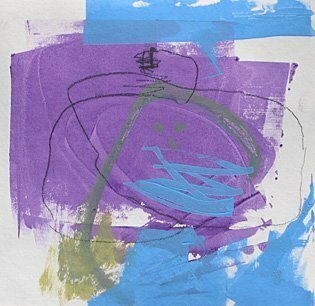 Drawing influences printmaking, which affects painting and so on, each practice constantly enriching and extending the other, and inspiring new work."